There is no better way to enhance the success of your next corporate event than hiring an expert corporate event catering company. Trust the experience, quality and service you will get with Decadent Catering. We are a full service catering company that specializes in all types of catering, including for your most important corporate events. The success of any corporate event is important for business success. Risking the event not being completely organized, professional and successful is not good business sense. 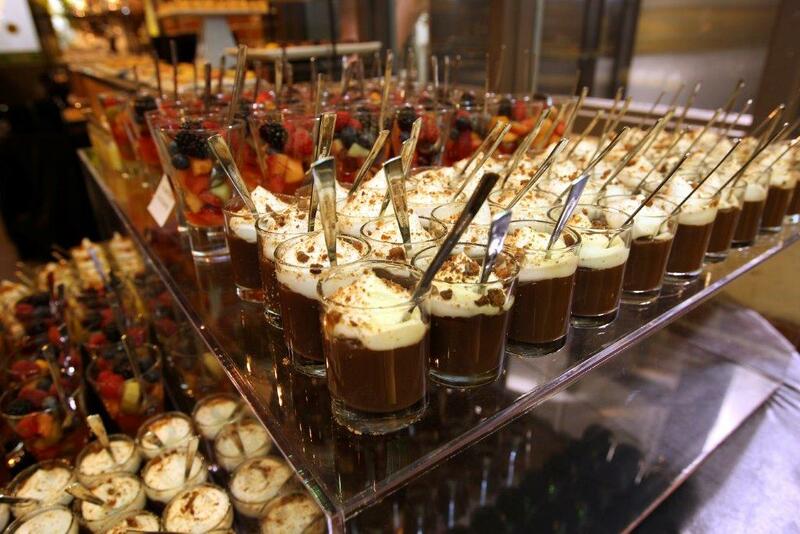 Whether you are planning a small, intimate breakfast meeting, all the way up to a large gala event and everything in between, our team at Decadent Catering can work with you to assess your requirements and help create a corporate event that will not only impress your clients, but also act as a marketing tool for your company. You can use the event, along with corporate event catering, to promote your company, brand and products, which can often result in an increase in your bottom line. Corporate events can be used for many different functions – perhaps you are launching a new product or having a large business meeting. No matter what the purpose of your event is, you can be sure that professional, reliable and delicious corporate event catering will enhance the success of your next event. Many companies like to use corporate events to thank their clients and employees, and there is no better way to show your gratitude for support and hard work than through a delicious meal and a well-organized event. At Decadent Catering, our planners have been creating special events for our corporate clients in Toronto and the GTA for over 15 years. Our chefs use local, sustainable ingredients to make the food we serve fresh, delicious and memorable. We have a varied menu to choose from and offer a wide variety of services aside from catering. Let our team at Decadent Catering do the planning, while you take the time to mingle with your clients. A worry-free experience is our goal each time we work with you, and we strive to exceed your expectations in terms of quality, value and service.